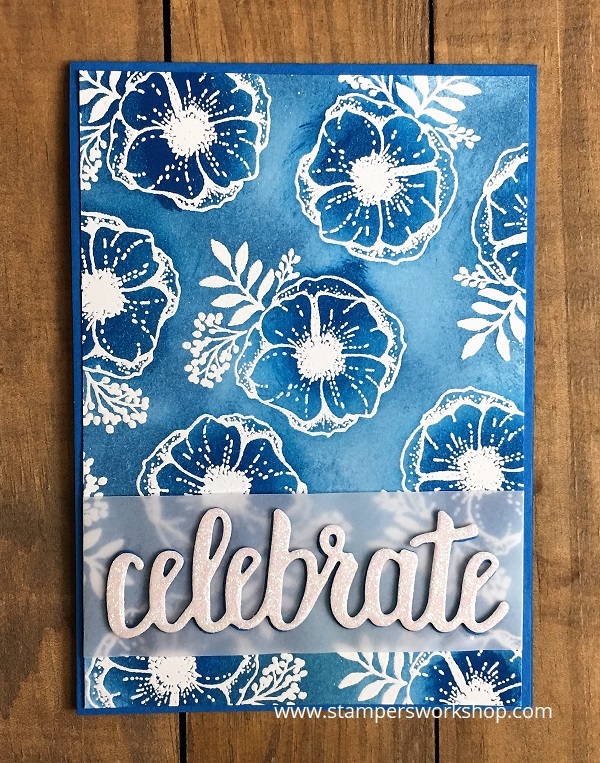 Hi, the Celebrate You die cut set is one which can stand on its own as well as work beautifully with other stamp and die sets. 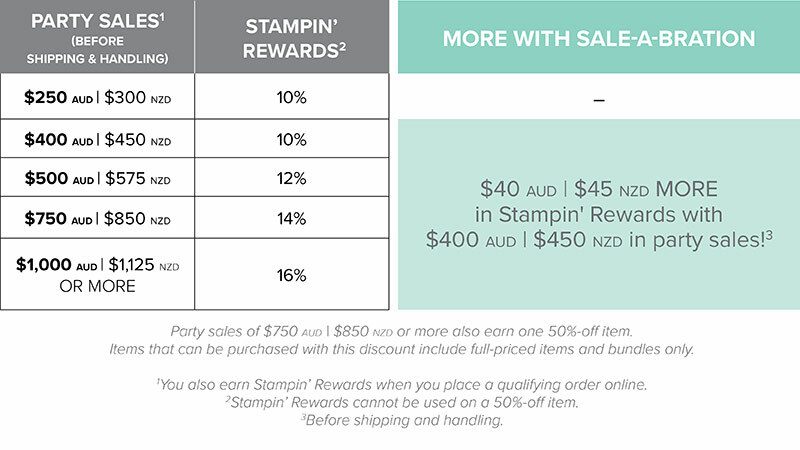 (It is also an item which you could choose for FREE with a qualifying order). 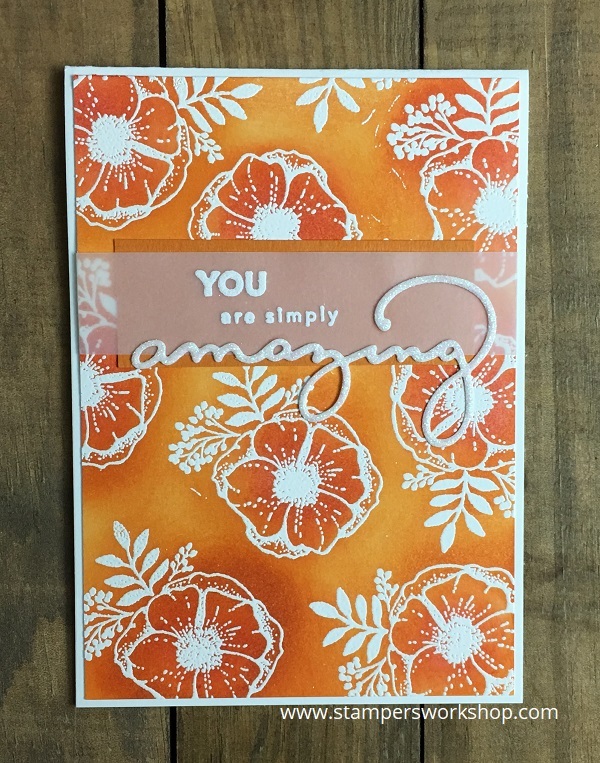 I’m sharing a card today which is surprisingly simple but very effective too. 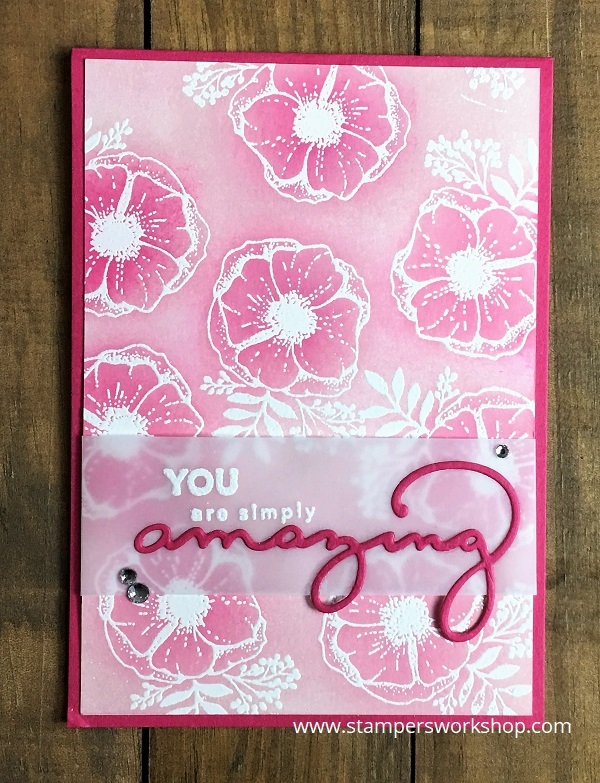 My best tip for creating a card like this is to apply a Multipurpose Adhesive Sheet to the back of your cardstock before you start to die cut. 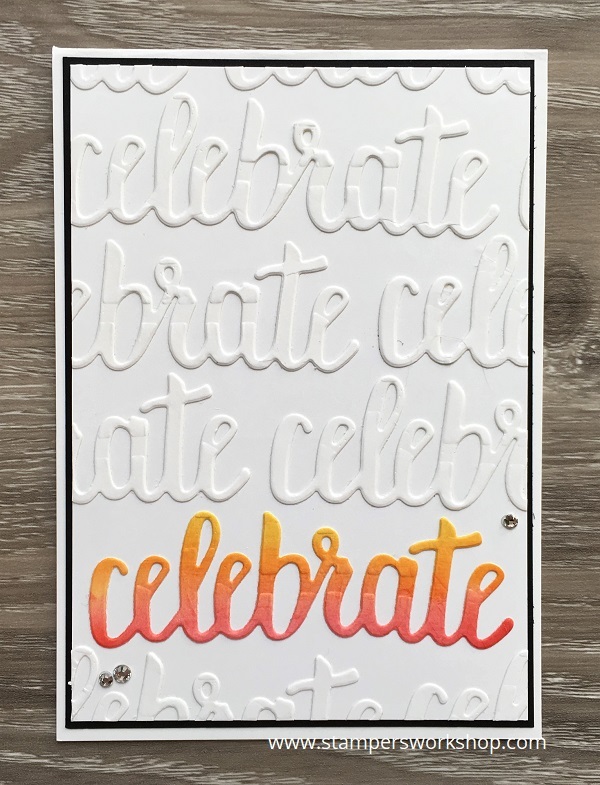 You will need to cut the word “Celebrate” numerous times and it is so much easier to stick them down when the adhesive is already on the back. Another awesome idea would be to create an ombre look on the entire panel and not just the one highlight word. 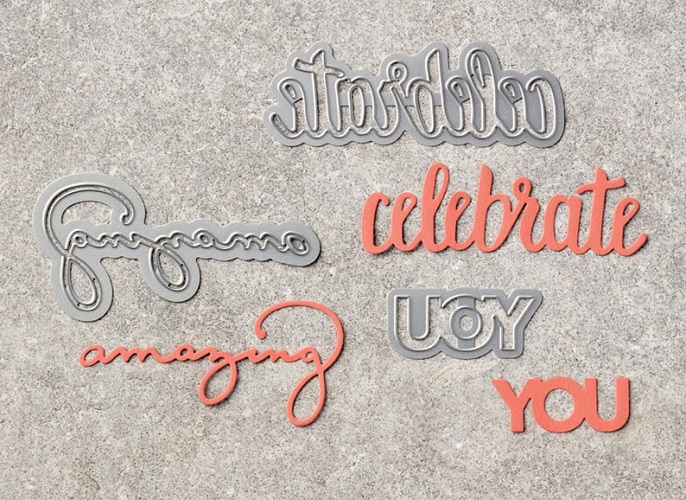 Or if you still wanted something to pop, you could do an ombre look and pop up one of the words. 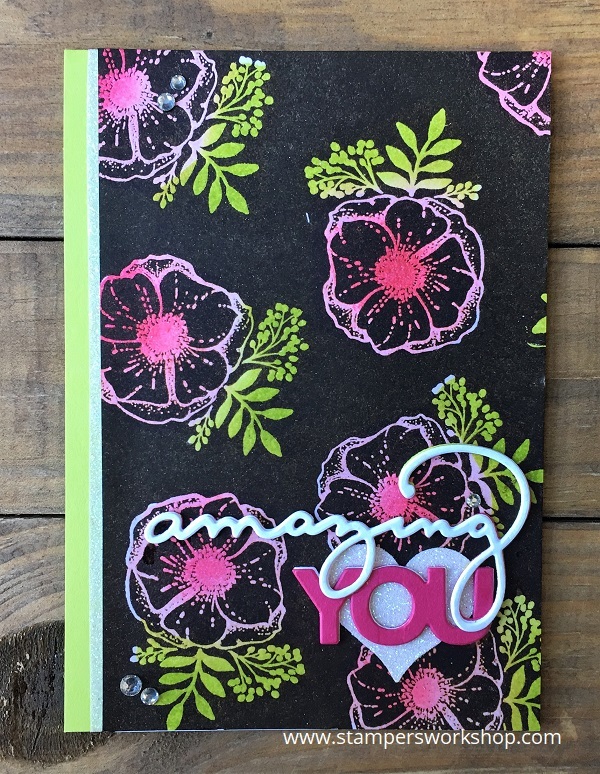 You could also add a smaller sentiment which is white embossed on black cardstock and which coordinates with the “Celebrate” sentiment. 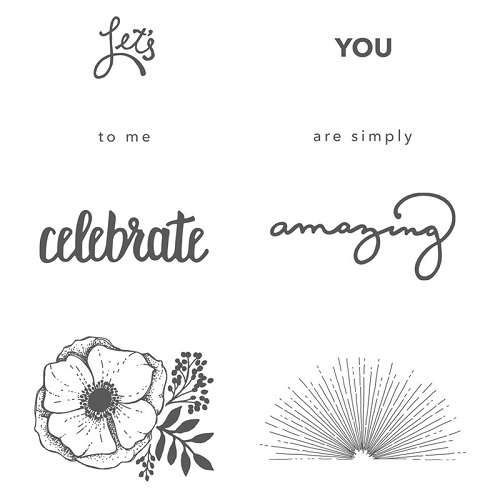 Oh, there are SO many different ways you could take this design. I’d love to see what you do with this idea.